Demanding Customers. AD&C, LLC. has created a network of highly skilled employees and subcontractors to provide services at a competitive price and with a level of quality that meets the standards of their most demanding customers. How Can We Help You? Since 2005, AD&C, LLC. has been in the business of providing one stop shopping to its general contractors for any and all of their drywalling and demolition needs. Here at AD&C, LLC. we take great pride in employing the most highly trained quality craftsmen that save our clients time and money by utilizing the most technically advanced tools and streamlined systems. With a quick conversation we can help you determine where to go next. Fill out our form if you'd like us to contact you about any of our services for your project. Our mission at AD&C, LLC. is to provide walls and other supporting construction services that produce peace of mind for our customers. If they have a problem we have a problem and we get it resolved to the satisfaction of our customers. We have built and installed Acoustical Ceilings , provided Brokerage services, Finishing, General Carpentry, Hanging , Insulation and Metal Framing to retailers such as Coach, Charlotte Ruse, Victoria Secret, HH Gregg and Giant Food Stores. AD&C, LLC. takes great pride in offering services using the most technically advanced tools to save the customer time and money, and employs the most highly experienced craftsman to instill the quality of service that AD&C reputation demands. We are honored to serve the needs of the businesses and families of the greater York community. 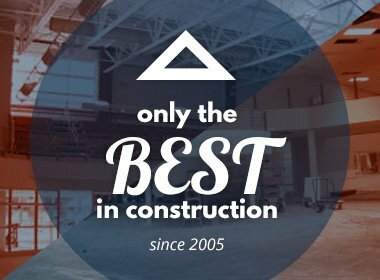 Providing construction services that produce peace of mind for our customers!